In 2020, 4% of European electricity will be produced from Marine Renewable Energy. The Basse-Normandie region holds a strategic position at the heart of France’s first offshore wind turbine programme, making the most of the natural, structural and technological advantages that have put it at the forefront of this promising sector. Moreover a development plan for the experimentation and production of electricity through tidal farms particularly in the Cotentin area is being currently undertaken in order to exploit tide time differences to maximise the use of resources and make the best use of the small number of locations at which onshore connections can be established. Moreover a specific base is being created within Ouistreham-Caen Harbour to provide maintenance for the offshore windfarm, downstream of the outer harbour lock. Scotland has ambitious aspirations for renewable energy. The Wind and Marine Renewables sectors are quite advanced with a high level of onshore and offshorewind either built, consented or planned and Marine Renewwables are high priority with the establishment of the European Marine Energy Centre (EMEC). This ambition is reinforced by the Scottish Government who have a target for 100% of electricity from renewables by 2020. Work is ongoing to develop skills and training interventions to support the sector with industry and the public sector identifying and develoing new programmes. The ambition however is that these should be international programmes and hence this project is very important. Norway is a big oil and gaz producing country. Renewable energy has mostly focused on hydro-electricity but there a few projects in this sector today. One main reason is our wish to maintain our nature untouched for future generations. As our “oil age” will go away we have to focus on renewable energies and the enterprises on the western coast of Norway will have to find new markets outside the oil supply industry. In the Western part of Norway most of the mechanical industry is oil-based. This project would raise the awareness of renewable resources, and could help the industry identify other possible areas to apply the knowledge and expertise built up in our industry. The college is very keen on innovation pioneering. This is why the project is a great opportunity both for the Hordaland region and for Norway. 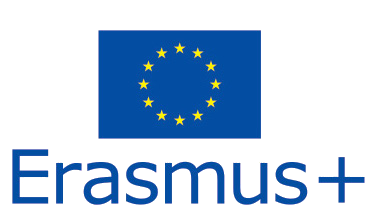 The project aims at creating and exerimenting a new training offer which is to accompany the development of this growing industry in our three regions and disseminate our approach at regional, national and European level. At the same time as R&D mechanism are being developed , vocational education and training, initial and ongoing, should be ready to address the challenging issue to meet the requirement of the companies‘ job offer incurred by the creation of the production units using both wind and tidal power, particularly in terms of installation and maintenance.